When it comes to monetizing a website as an extra income stream, there are already hundreds if not thousands of tools out there. Most promise quick results and some even suggest that you’ll be able to quit your job after a few months if you use them. Needless to say, it isn’t that easy. Like in most areas of life, get-rich-quick schemes tend not to work. Monetization is much more complex and difficult than some sites make it out to be. While it can be a rewarding and efficient income stream, it also requires a fair amount of work for it be continual. There are a variety of choices that allow people to gain money through websites. A few examples include placed links that earn a commission if a visitor purchases something through them, to clicking ads or ads that pop-up. One of the less explored ways to do this is monetizing a chat. This can be done in addition to other tools or on its own. It can be a surprisingly effective tool to earn money for the chat owner or owner of the site. However, monetizing a chat without the right tools can be difficult. Experienced and skilled coders and web developers would no doubt be able to create a custom chat with this feature. The cost and process of developing, testing, and setting it all up, however, would likely wipe out any income the feature would bring in! 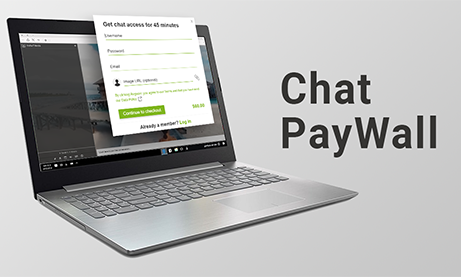 RumbleTalk’s PayWall chat is a ready-to-use tool that lets you get started with your paid chat in just a few minutes. It gives you complete control over what, when, and how you charge your users, making it perfect for just about any website. The added security is also a benefit. Setting up any PayWall (paid access), even if it’s low-priced, will keep out most spammers, scammers, trolls, and bots. You will spend far less time trying to keep your chat free of spam, which will be beneficial to both you and your users in the long run. How to Set It up and Watch Your Income Stream Grow! All three options have different benefits and drawbacks. The most important step, which is also the first step in this process, is selecting the right one for your site. While a lifetime access fee allows you to charge a higher fee from your users, you are limited to one payment per user. Furthermore, a higher price may actually end up discouraging some users. As a result, this type of paid access is ideal if your chat is not the main feature of your website. Instead, you would use it if the chat is only an option to your website, not its main feature. 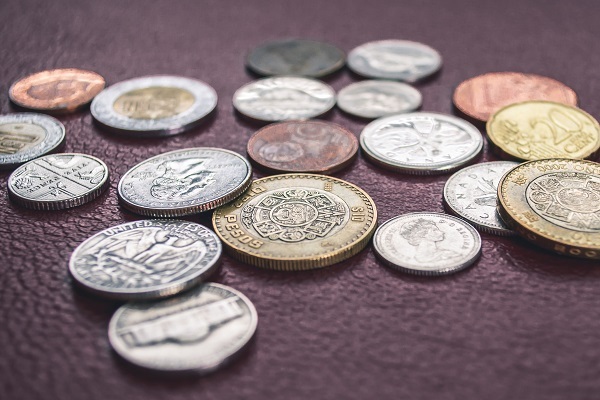 A subscription-based system allows your users to pay for as long as they need access. You yourself can define how long you want users to have access for. While a monthly or weekly payment is the most commonly used, it all depends on you. This sets you up for a continuous stream of income. In addition, it can also lead to long-term clients paying a lot more than they would with a lifetime paid access. The third type is specific to certain uses. 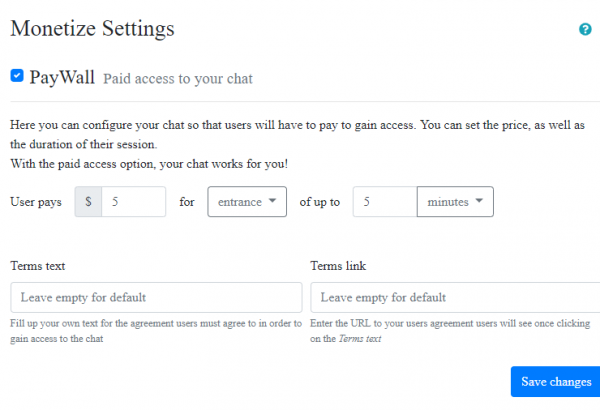 If you use your chat to run, for example, webinars, or to host live event chats and the like, then your users will only need access for a certain period of time, leading to a lower rate of income. If, for example, a webinar lasts for 3 hours, allowing your users to purchase a 4-hour pass (to give them a little time before and after to wrap up conversations/debates in the chat room) can be the perfect way to monetize your event or webinar, thereby setting you up with an income stream that’s both continuous and with a little bit of extra on the side. So, How Do You Set Up Paid Access? 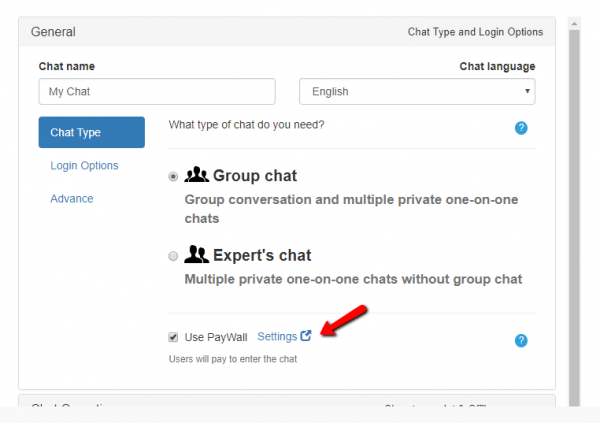 To set up paid access in your chat, you need to do the following. The first thing you need to do is make sure that you check the settings for your chat. To do that, click “Settings” on your admin panel. Then, choose “Settings” again. Now, you’re in the settings page. Choose which chat type you would like for your website. Then, tick the box for PayWall. This will activate monetization. 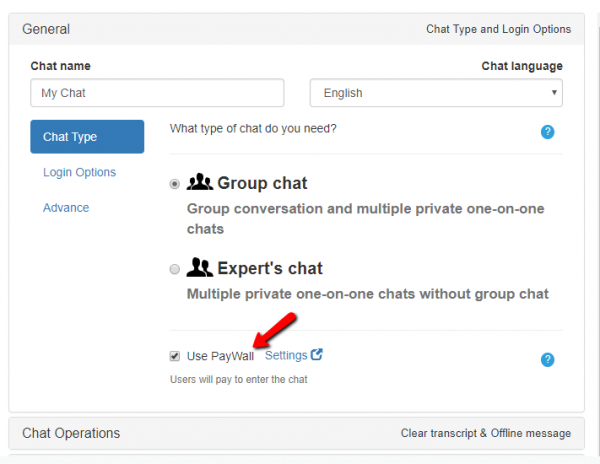 If you want to change the fees for entrance/subscription, click on “Settings” beside “Use PayWall.” You will then be redirected to “Monetize Settings” where you can adjust the fees for entrance to your chat room. This will display your follower’s payments to you. 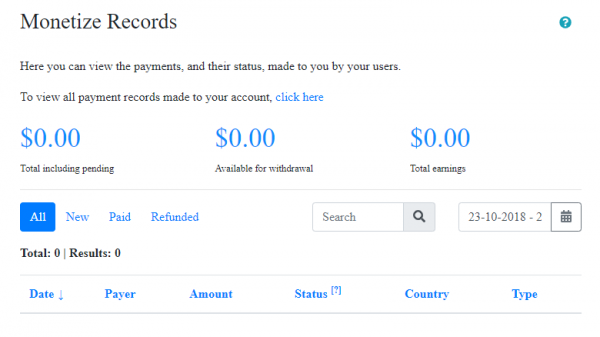 Setting up a PayWall for your income stream is easy. Just follow the aforementioned steps, and you’re ready to go! With simple PayPal payments, users are not tech-savvy can easily and safely purchase access to your chat. In addition, RumbleTalk charges an extremely low fee of 10% of each payment, meaning you receive most of the income generated by the chat. As many tools charge far higher fees to their users, this is something that can be very difficult to achieve. This goes for monetization in general. But with RumbleTalk’s PayWall chat, paid access has never been easier! So, what are you waiting for? Register and use RumbleTalk now!